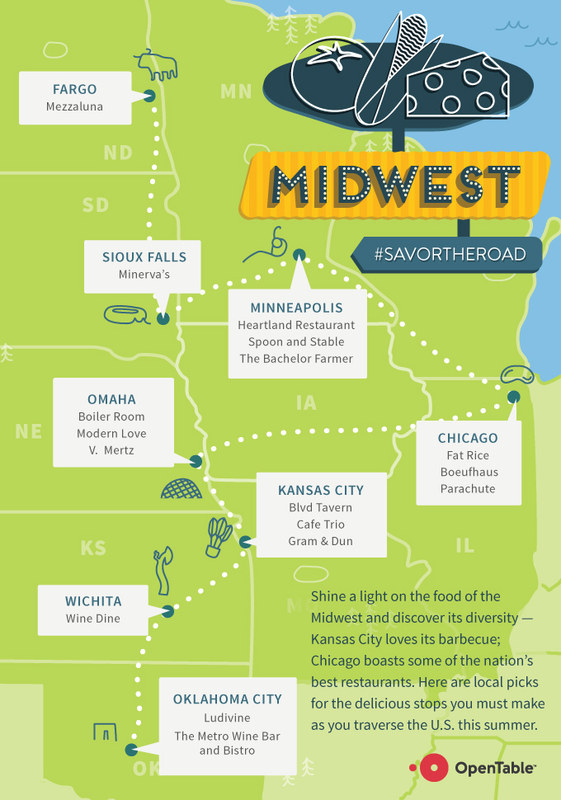 This travel season and I am taking a little road trip from Chicago to Minneapolis/St.Paul with OpenTable's Summer Road Trip Restaurant Guide. I am SUPER excited to check out Minneapolis as I have never visited the city but only dined and commuted through their airport! 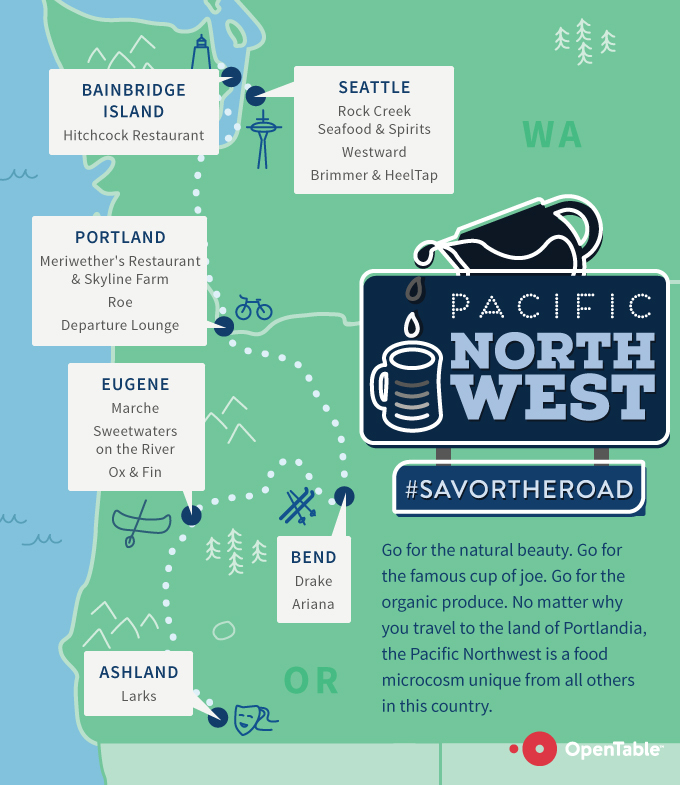 I invite you to join me and dine like a local on your summer road trip with the OpenTable 2015 Summer Road Trip Restaurant Guide and enter the #savortheroad giveaway for a chance to win one of ten $100 OpenTable gift cards. off-the-beaten path eateries to the restaurants that help make even the sleepiest towns dining destinations, these are the in-the-know picks to help make your road trip delicious. Map your route, make your reservations, and start restaurant road tripping. 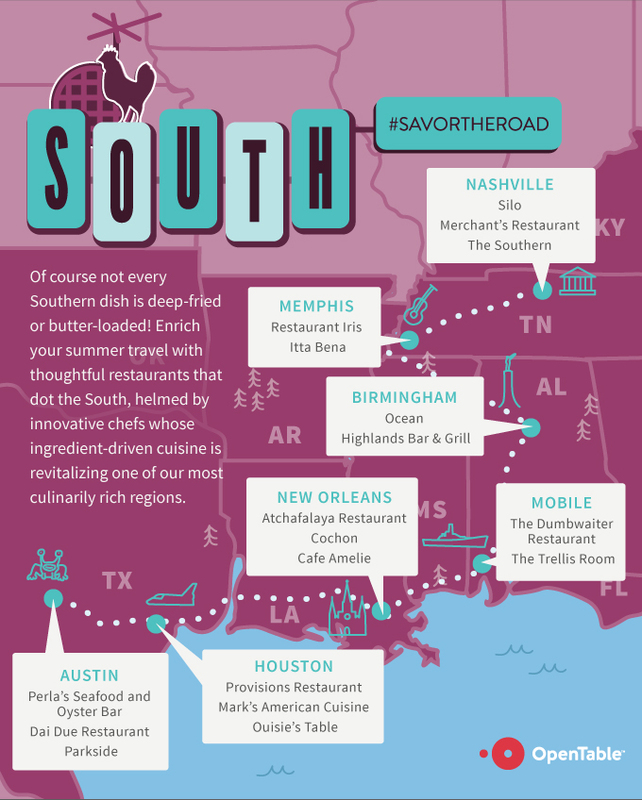 Then, share your summer road trip eating adventures with OpenTable using the hashtag #savortheroad to enter our gourmet giveaway. 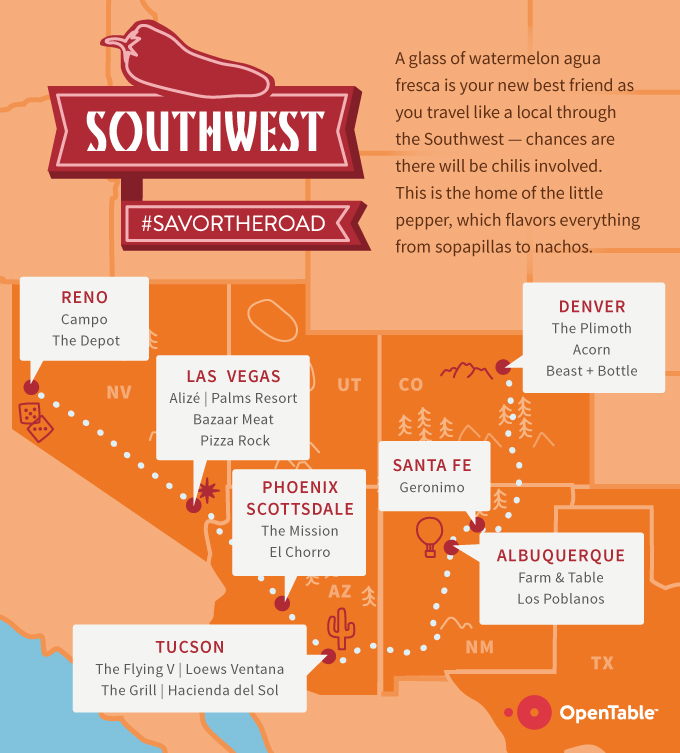 Introduction: OpenTable, Inc. (“OpenTable”) is offering the OpenTable 2015 #savortheroad Summer Road Trip Restaurant Giveaway (“Giveaway”). NO PURCHASE NECESSARY. VOID WHERE PROHIBITED. Eligibility: The Giveaway is open to U.S. residents eighteen (18) years of age or older at the time of entry. Employees of OpenTable and its affiliated and subsidiary companies and their immediate family members and/or those living in the same household of such persons, are not eligible to enter the Giveaway. Entry Period: The entry period for the Giveaway begins at 12:01 a.m. Pacific Time (“PT”) on Wednesday, July 29, 2015, and ends at 11:59 p.m. PT on Sunday, August 16, 2015 (the “Entry Period”). 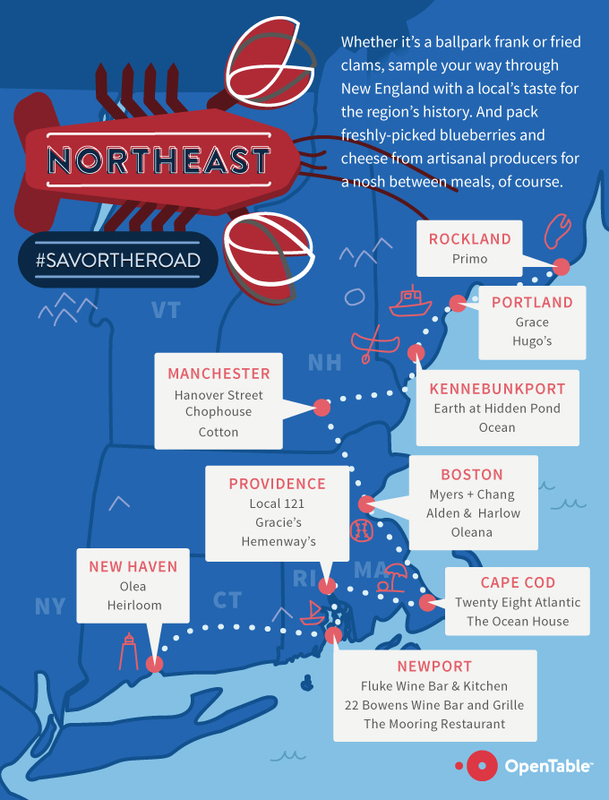 How to Enter: During the Entry Period, follow @OpenTable on Twitter or Instagram or like OpenTable on Facebook and share a photograph or video with @OpenTable on either Facebook, Instagram or Twitter that highlights your summer road trip eating adventures with the hashtag #savortheRoad. Limit one (1) submission per person per social media account per day during the Entry Period. You must have a Facebook, Instagram or Twitter account in order to enter via Facebook, Instagram or Twitter, respectively. Facebook, Instagram and Twitter are free to join. Winner Selection: Ten (10) winners will be randomly selected by OpenTable by Friday, August 21, from among all eligible entries received during the Entry Period. OpenTable’s decision is final and binding in all matters relating to the Giveaway. Odds of winning depend on the number of eligible entries received during the Entry Period. Potential winners will be notified by direct message via Facebook, Instagram or Twitter, and OpenTable will request your name, phone number and email. If a potential winner is unreachable for 48 hours after the first attempt to contact such winner, OpenTable may award the Prize to an alternate entrant. To claim the Prize(s), a Winner must complete and sign an “Affidavit of Eligibility and Liability Release” within 48 hours of notification, or an alternate winner may (in OpenTable’s sole discretion) be selected. OpenTable’s computer shall be the official timekeeper for all matters related to the Giveaway. Prize: Each winner will be awarded a $100 OpenTable Gift Card (the “Prize”). The approximate retail value of the Prize is $100) and total approximate retail value of all Prizes is $500. Those living more than 15 miles outside an OpenTable Gifts metropolitan area may opt to receive a $100 AMEX or Visa gift card. OpenTable will not be responsible for any loss, liability or damage arising out of the winner’s acceptance or use of the prize. Prizes are not transferable. No cash equivalent or alternative prize will be given and Prize(s) is non-transferable and non-exchangeable, except in OpenTable’s sole discretion. All federal, state, and/or local taxes are the responsibility of the winners. Conditions: OpenTable is not responsible for lost, late or unintelligible entries, lost connections, miscommunications, failed transmissions, other technical difficulties or failures. If, in OpenTable’s opinion, there is any suspected or actual evidence of electronic or non-electronic tampering with any portion of the Giveaway, or if technical difficulties compromise the integrity of the Giveaway, OpenTable reserves the right in its sole discretion to void any entries at issue (including disqualifying any individual who tampers with the entry process), and to cancel, terminate, modify or suspend the Giveaway, in whole or in part, at any time without notice. In the event of such cancellation, OpenTable reserves the right to award prizes in a random drawing from all eligible entries received before the time of cancellation. By entering, participants release and hold harmless OpenTable and its promotional partners, and their respective subsidiaries, affiliates, directors, officers, employees and agents, and Facebook, Twitter and Instagram from any liability for any injuries, loss or damage of any kind arising from or in connection with the Giveaway or receipt or use and/or misuse of any prize. Entrants agree to indemnify OpenTable and its subsidiaries, affiliates, directors, officers, employees and agents from and against any and all claims and liabilities arising out of or in connection with this Giveaway. By entering this Giveaway you agree to the use and publishing of your name, photo, opinions, biographical information, state of residence and likeness and entry for promotional purposes, without payment or compensation to you (except where prohibited by law). Governing Law: This Giveaway shall be governed by and interpreted under the laws of the State of California, U.S.A. without regard to its conflicts of laws provisions. The Federal and State courts located in the county of San Francisco, California will be the exclusive venue for any disputes under this Giveaway, and all entrants hereby consent to the personal jurisdiction of those courts for such purposes. 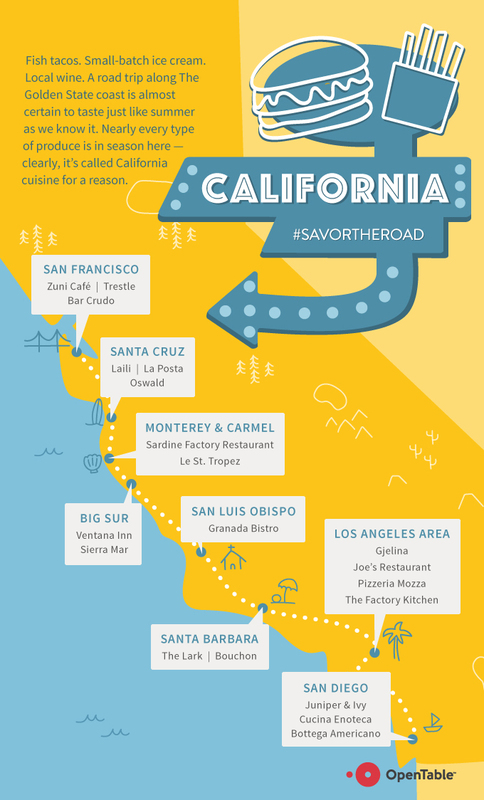 Winners List: To receive a list of winners, send a self-addressed, stamped envelope by October 31, 2015, to: OpenTable, Inc., Attn: Marketing Department — OpenTable 2015 #savortheRoad Summer Road Trip Restaurant Giveaway, 1 Montgomery Street, Suite 700, San Francisco, CA 94104. Sponsor: The sponsor of this Giveaway is OpenTable, Inc., 1 Montgomery Street, Suite 700, San Francisco, CA 94104.